At first glance, it’s easy to look at a poor assessment score and conclude that there’s a problem. But there are a variety of factors beyond true developmental or behavior concerns that can impact a child’s score on the ASQ®-3 and ASQ®:SE-2. Before deciding if a referral to an agency or specialist is needed, meet with the family and carefully consider whether any of these factors affected the child’s performance. You may find that the child doesn’t need a referral at all, or that the problem is actually a “side effect” of an unrelated issue. Most importantly, you’ll have a more accurate picture to inform your follow-up plan. What factors can affect ASQ-3 results? If the child’s score is in the monitoring zone or below the cut-off score on the ASQ-3, be sure to weigh the following factors as you interpret the results. Obviously, the parents are going to play a big role in this process. Find out if the child has had a chance to try the items, and enough time to practice the skills. If not, consider holding off on a referral until she has had further opportunity to try the items. Health/biological factors. Is a health condition or other medical factor affecting the child’s performance? A primary care physician may be an appropriate part of the referral process. Cultural factors. There may be reasons unique to a child’s culture that explain why he didn’t perform as well on a certain item. Talk with the family to get a better sense of these factors. For example, a child may not be using utensils independently because his parent feeds him (which benefits the parent–child relationship), and not because there’s a fine motor concern. By looking at how the child scored on other fine motor items you can probably tell if there really is a larger fine motor concern. If there’s not, you could omit the utensil-use item. Environmental factors. Consider the big picture when you meet with the family. Try to determine whether there’s been a stressful event in the child’s life that could have caused a developmental regression. Or perhaps there are older siblings who talk for the child, which could explain speech delays. What factors can affect ASQ:SE-2 results? If a child’s ASQ:SE-2 score is in the monitoring zone or above the cut-off, work with the family to consider the factors that may be impacting the child’s behavior—before you begin the follow-up process. Rather than a referral, it may be more appropriate to opt for close monitoring and preventive measures as a first step. One example is a child who hits others. If that child has a speech delay, her negative behavior may be because she’s frustrated that she can’t easily verbally communicate her needs. A speech-language pathologist may be a more appropriate first-step referral than a mental health professional. Here are the factors to keep in mind. You can also find them on a helpful checklist that’s included on the ASQ:SE-2 information summary sheets. Setting/time. 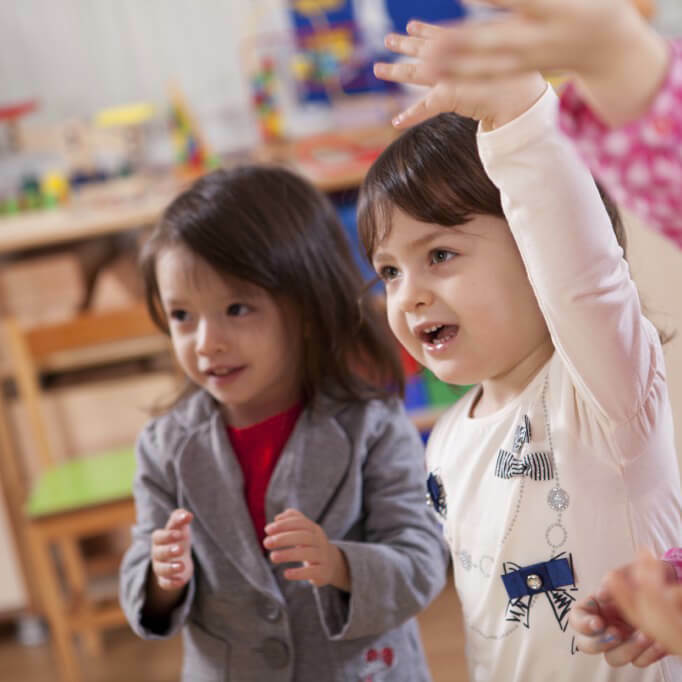 Try to determine whether the child’s behavior is consistent whether he’s at home or child care/preschool, and look at the environmental conditions where the behavior occurs. An unfamiliar setting, or one that isn’t compatible with a child’s temperament, could be influencing the child in a way that’s atypical. How is the child doing developmentally? Certain behavioral concerns could be attributed to a developmental delay or sensory processing disorder. Getting to the root of the problem will help you make more appropriate referrals. Health and medical-related issues can sometimes lead to social-emotional issues. Talk to the family about all aspects of the child’s health. Some factors that can affect behavior are lack of sleep, hunger, medications, or exposure to drugs in utero. Find out whether the child has had a recent medical checkup and refer the child to a primary care provider if necessary. Family/cultural. Family engagement is crucial to being able to identify whether the child’s home life is impacting her behavior. Talk to family members and provide resources that help them understand their child’s social-emotional needs. And always take into account whether language barriers, cultural differences, or stress (past or present) could be having an influence. Parent concerns. Listen carefully and take into account how the parent or caregiver feels about the behavior and whether they’ve voiced concern. If a parent indicates any concern at all, make sure they know what resources and referrals are available to them. You may even choose to make a referral solely because a parent expresses concern or frustration. Want to learn more about how to incorporate these factors into your ASQ:SE-2 score interpretation? View a full list of sample questions and follow-up actions for each factor.